If you saw my recent Tips for Cutting Down on Sugar post, you'll know that I've been trying to cut a lot of sugar out of my diet. 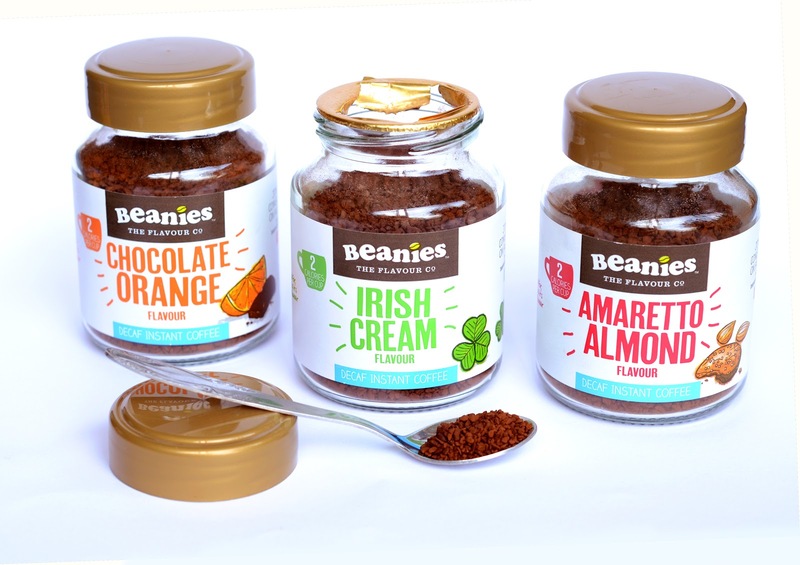 So I was tantalised to hear about the Beanies Flavour Coffees, which claim to contain the right amount of flavour so that they don't need extra sugar. I received Decaf Chocolate Orange £2.75, Amaretto Almond £2.75 and Irish Cream £2.75, which are all as deliciously tasting as they sound. I've been drinking these with soya milk and the flavours are strong, but don't overpower the coffee taste. 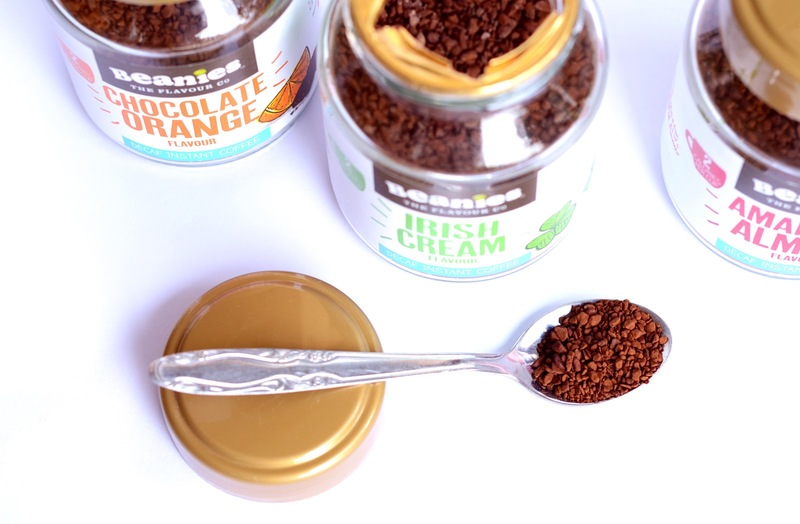 As promised, the coffees don't taste like they need extra sugar and these three pots all have a richness that makes them feel quite naughty, even though they're vegan, sugar free and have 2 calories per serving. My boyfriend tried them and said he thought the flavours were too strong, but who would listen to a Nespresso addict like him anyway? 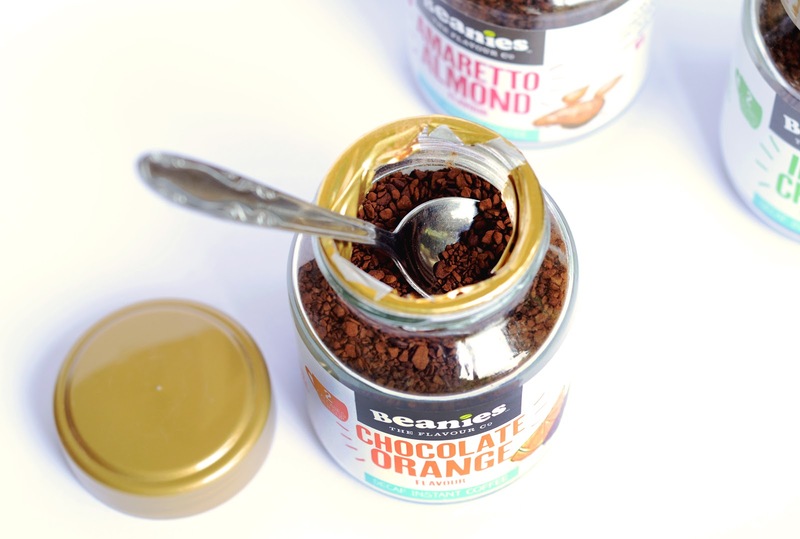 My favourite of the three is Chocolate Orange and I particularly enjoy a level teaspoon stirred into hot chocolate to give the flavour an extra dimension. 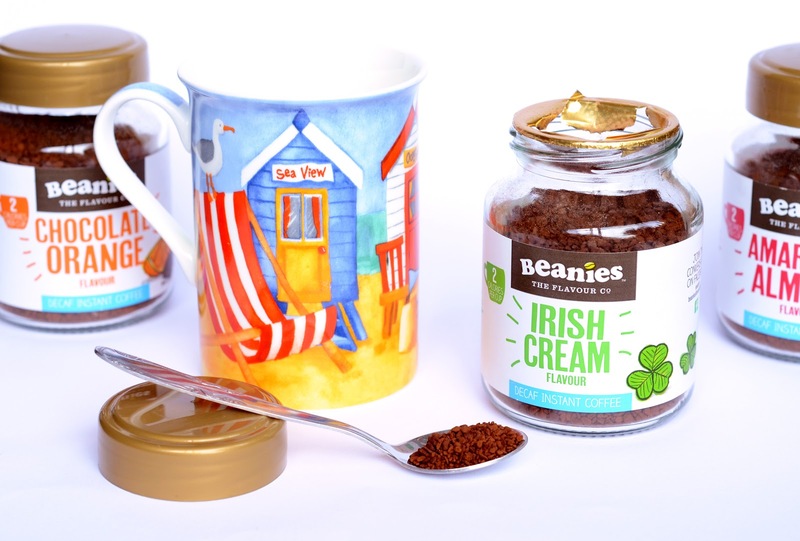 A teaspoon of the Irish Cream flavour is really good in an Irish hot chocolate with a dash (or two) of whiskey which creates a creamy warming drink that has the perfect level of sweetness to bitterness. 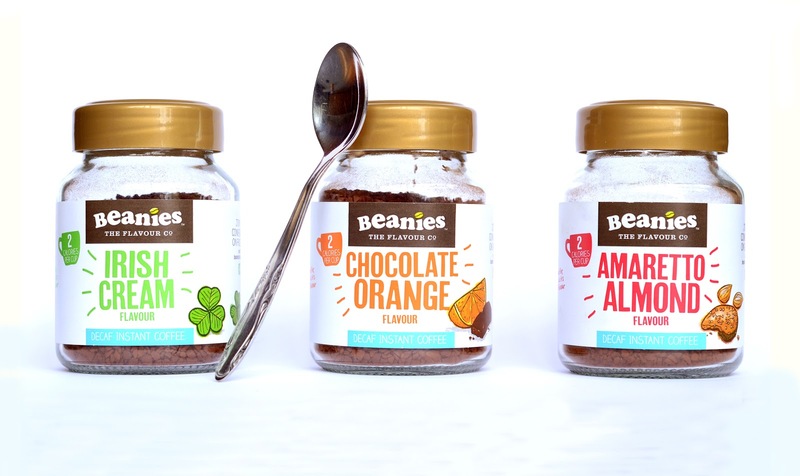 Beanies also do a range of instant and ground full caffeine coffees, including a Stash Box with nine flavours in which I think would make a great gift. Although I haven't tried it yet, I bet the coffees would be awesome for baking too- Amaretto Almond coffee cake anyone!? The choice of flavours is huge and perfect for those of us who have a sweet tooth and are looking to spice up the drinks cupboard. 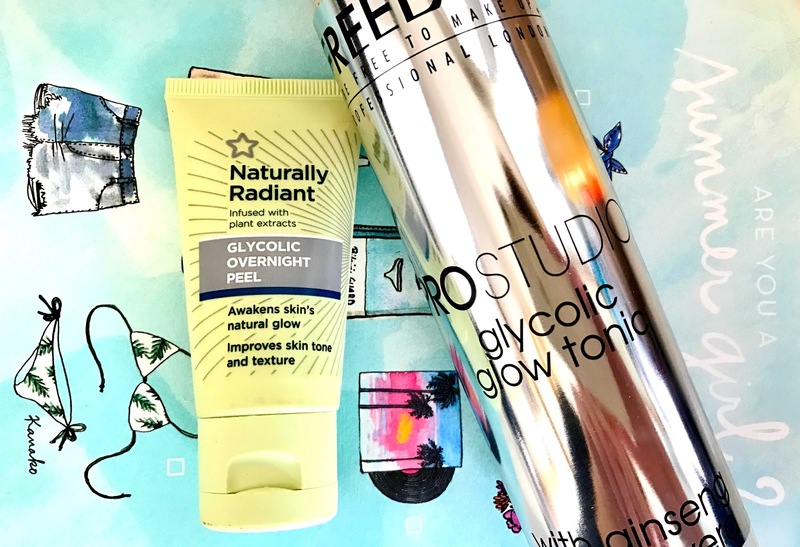 I've put together a list of my must-have beauty and hair products for a holiday in the sun, whether you're travelling abroad or staying in the UK and hoping you won't have to dig out your wellies. Read on to find out what's made the cut for my bag! When it's hot you need a foundation that stays in place and I haven't found one better than Revlon Colorstay £12.99, even without a primer. The normal/dry version is water based, whereas the oily version is silicone based, so I find the former holds up better in hot weather as it doesn't separate or turn patchy when you get a bit sweaty in the heat. 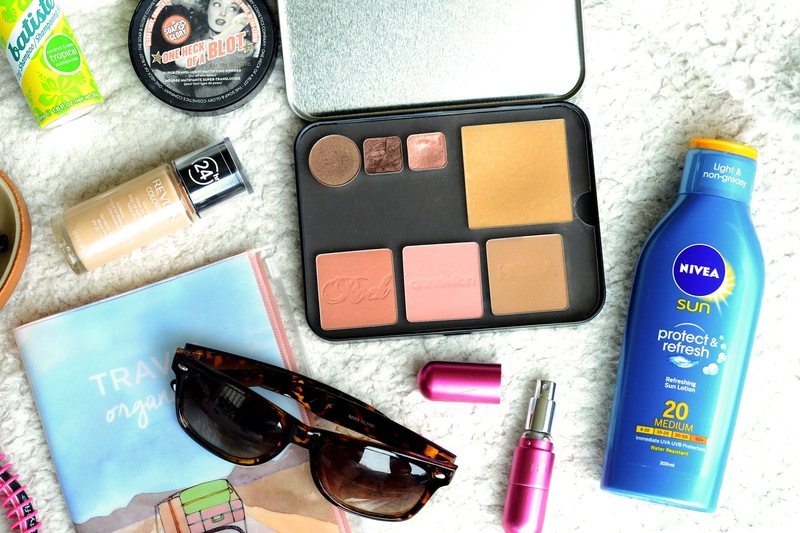 For oil control and mattifying power, Soap and Glory One Heck of a Blot £12 is definitely one of the essentials. 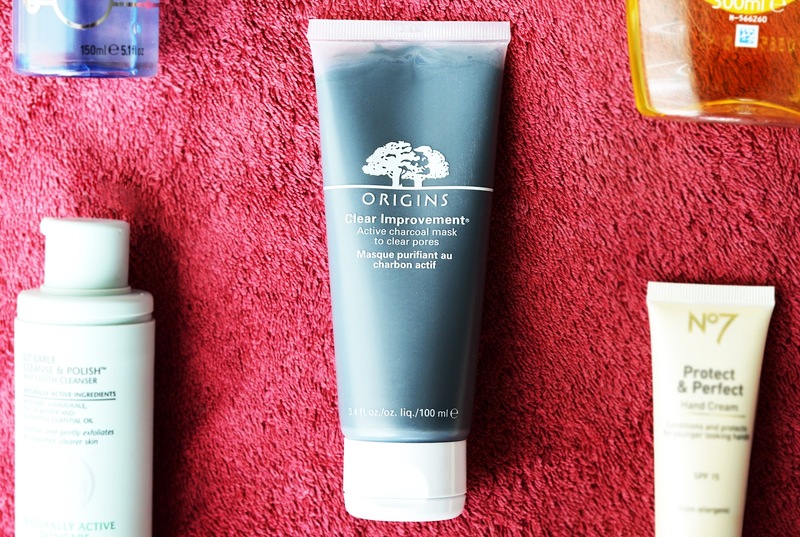 It removes shine in an instant and sometimes actually looks its best when you start to get a little oily. You can read more of my thoughts on the power here. Instead of trying to squeeze all your palettes and compacts in your makeup bag, use a Make Up For Ever Metal Palette £6 to hold your most used creams and powders. The medium sized magnetic palette holds singles and depotted pans perfectly and there are plastic and foam sheets included to protect your powders on the journey. I find nail files to be a handbag essential for pesky splits or breaks, and the Stylfile Emergency Nail FIle £4.49 is perfect for taking on holiday. Not only does it feature the innovative curved design for the emery side and smoothing/shining side, but also has a spiral holder that prevents the file from scratching your phone. If you're looking for a really long lasting lip colour that will see you through eating and drinking from morning to night, then I'd suggest trying Maybelline SuperStay Bold Matte 24 Hour Lip Colour £8.99. 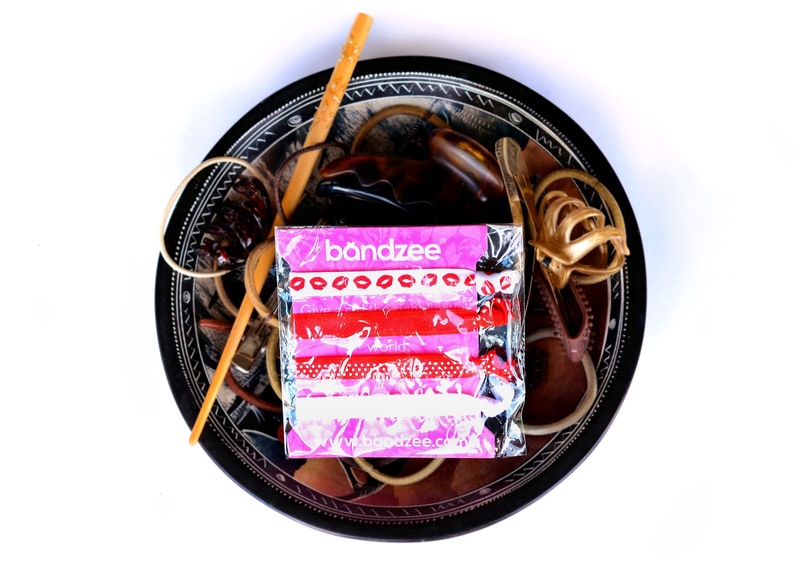 Although application is a little tricky (you need to keep your mouth open until the creme has dried completely) the results are definitely long lasting. 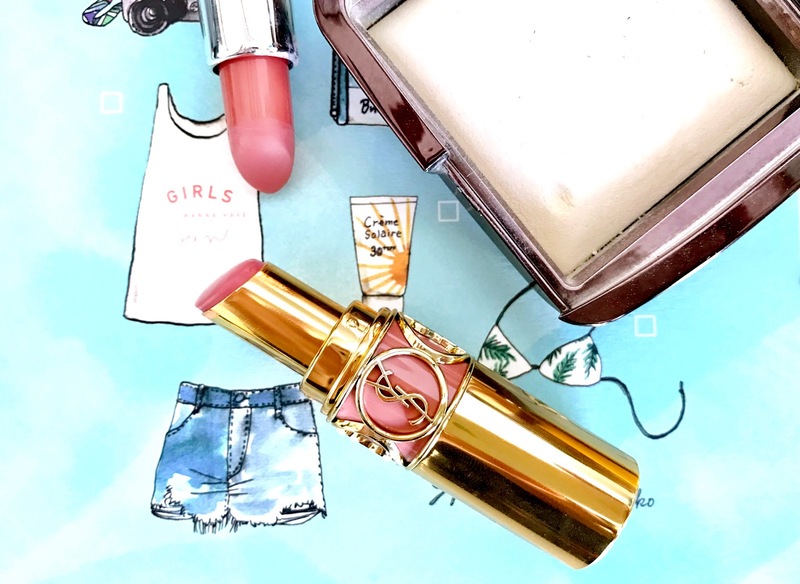 This bright Peach Cocktail shade is the perfect holiday colour and there's a balm on one end of the tube so you can choose between a matte or glossy lip. 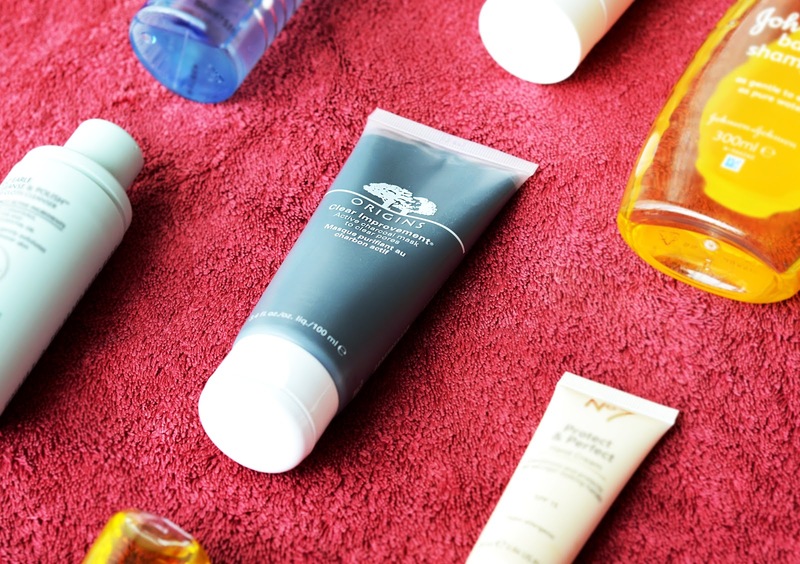 There's something quite endearing about travel minis and a 7 pack of Simple Cleansing Wipes £1.25 just screams holiday to me. 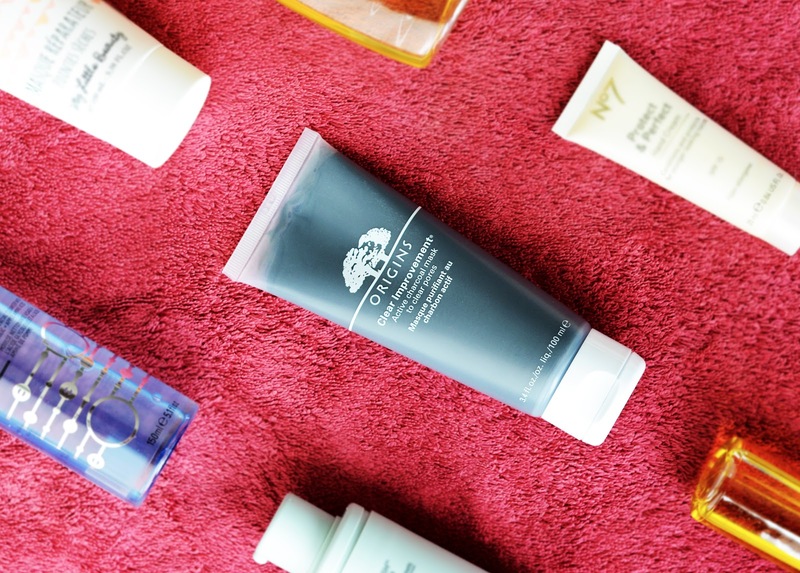 There's the perfect amount for a week in the sun so you can easily remove your makeup before a bedtime cleanse without having to carry a heavy big pack or take unnecessary liquids in your bag. I recently switched to Right Guard antiperspirant from another brand and now I wouldn't use anything else in the summer. With the Right Guard Total Defence 5 Floral Power £2.89 I guarantee you will only smell lovely, whether you're hanging out by the pool or picking up the pace on a walking tour. Also, the Floral Power scent smells quite like passion fruit to me, the perfect exotic holiday fragrance! If you don't want to pack a big bottle of perfume too then the Flo Refillable Atomiser £9.99 is the perfect solution, holding up to 77 sprays of your favourite scent. 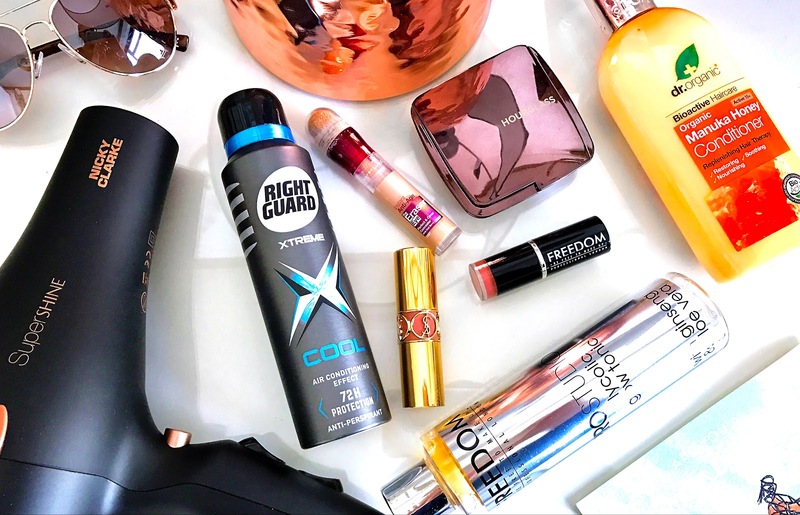 For hair basics, there's Batiste Dry Shampoo £1.50 which comes in a handy (and cute) 50ml travel size for root refreshing, and Tresemme Freeze Hold 100ml £1.69 to hold your style in place once it's finished. 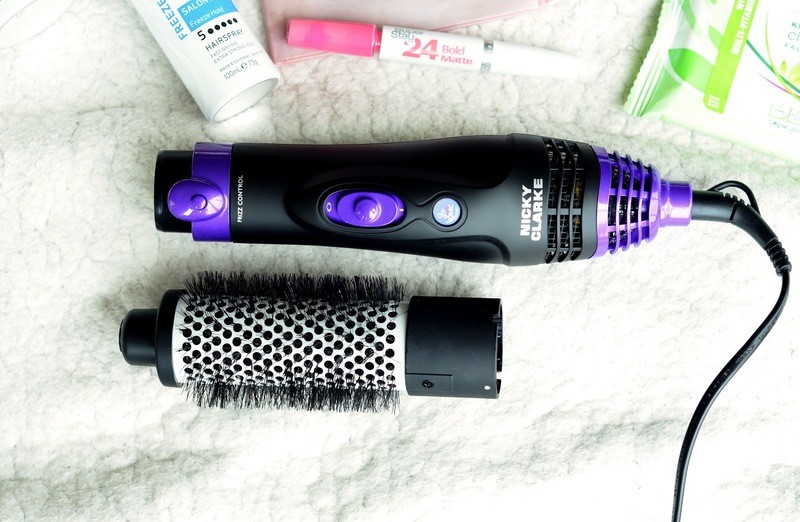 To cut down on bulk in your bag and to make styling easier, swap your hair dryer, round brushes and styling tools for the Nicky Clarke Frizz Control Hot Air Styler £24.14. This all in one tool blows the hot air straight into the brush so you can get a perfect volumising blow dry every time. 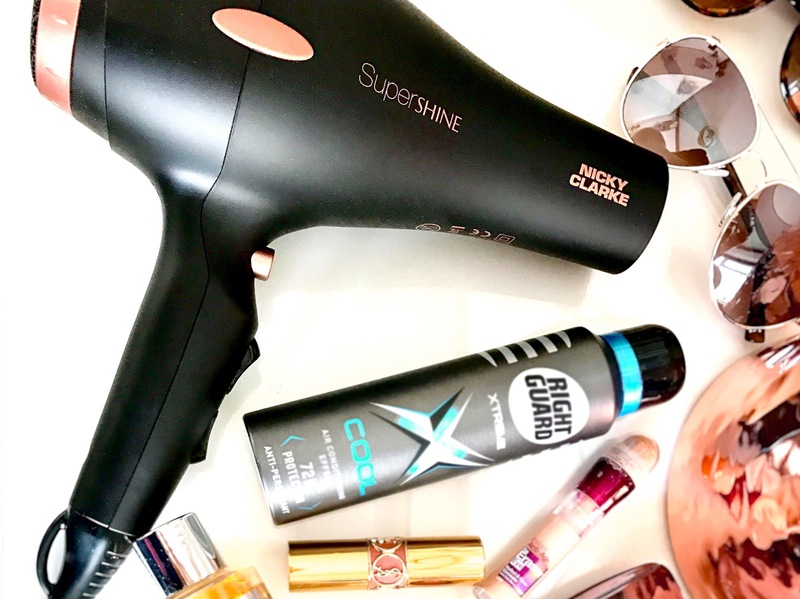 The Hot Air Styler comes with two different sized round brushes and has a cool shot setting to set your style along with an ionic setting to reduce smooth hair and reduce frizz from humid weather. 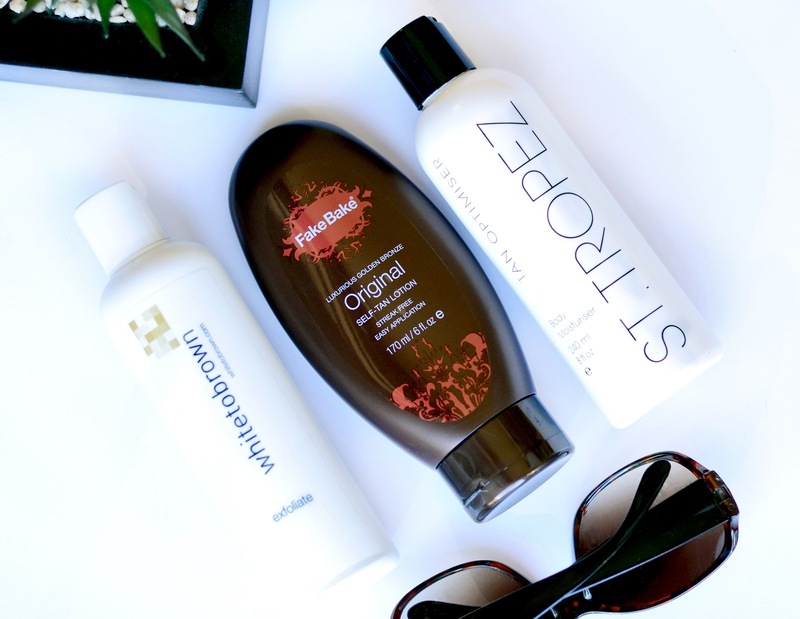 An essential, whether you're going abroad or staycationing, is sun protection. I would thoroughly recommend Nivea Sun Protect and Refresh £8 and Garnier Ambre Solaire Light and Silky Lotion £7 for being light, easily absorbed and non greasy enough that you don't feel the need to wash your hands after application. 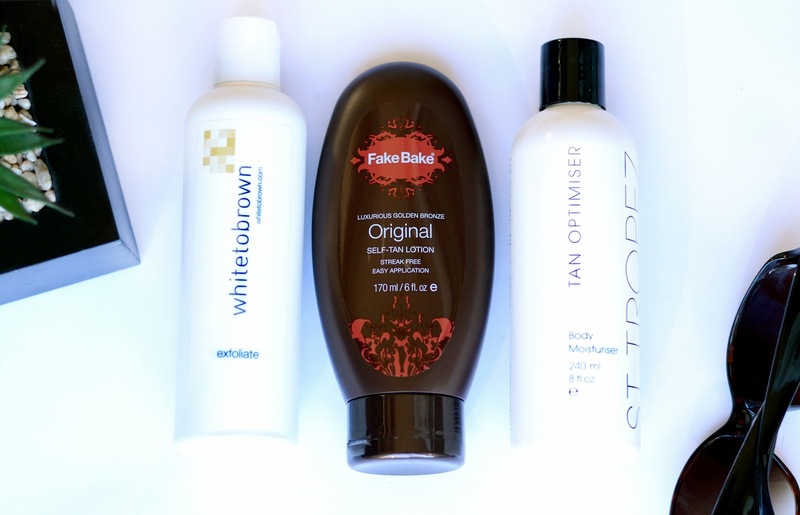 They're also budget friendly and don't increase in price if you need a higher SPF like with some brands I've seen! Eyes need protecting from bright sun as much as skin and my favourite shop for sunglasses this year has been River Island. I picked up four pairs to replace some old ones in my collection- a couple of aviator styles and I found some great tortoiseshells Wayfarer style glasses in the men's section. I'm really impressed with the big selection and they're only around £10 each. 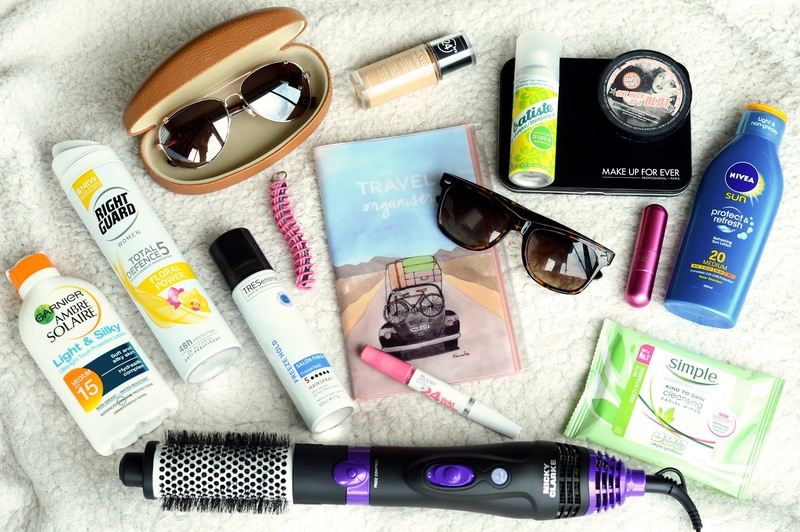 What do you take in your beauty travel bag? Do you feel like your home is a war zone? 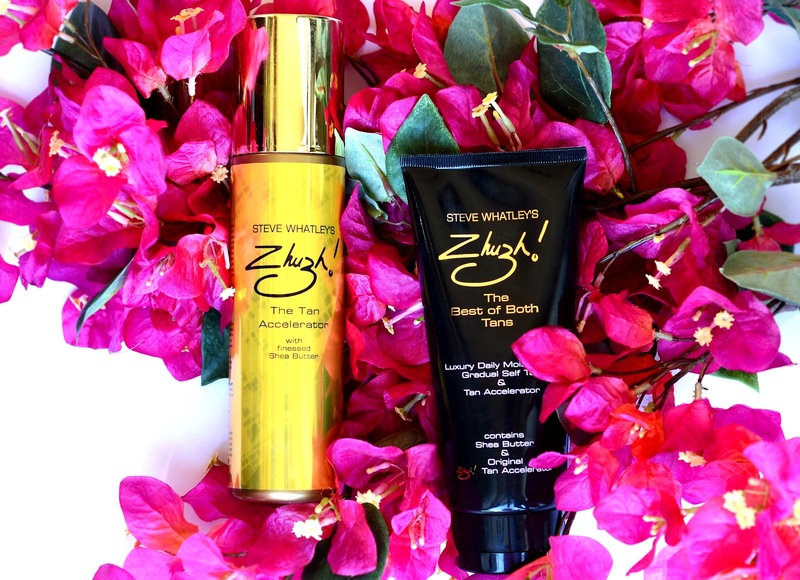 Are you always fighting with your unwanted hair? What happens when you've tried waxing, shaving, and plucking and are just at the end of your tether? Then it might be time to see if you're a good candidate for laser hair removal. But first, there are some basics you should know about the process. When you shave or wax away your unwanted hair, you'll probably notice it starting to grow back after just a couple of days. 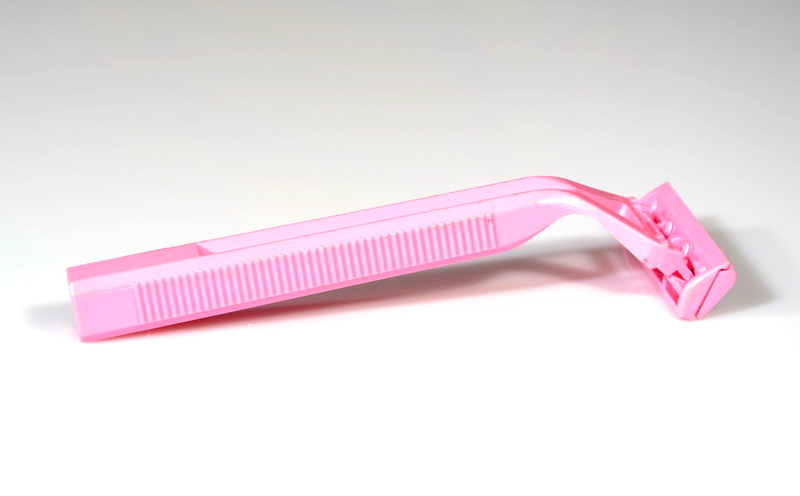 In fact, most of us have been known to shave or wax at least once a week. That's why laser procedures can look like miracle fixes, since the hair might stay away for weeks. Sometimes it might not grow back at all, but why is that? The answer is simple. Techniques like shaving only remove the hair that shows on top of your skin, but those hairs grow up from below the surface. Think of hair as being like a vegetable that grows out of the ground from a seed. You can chop off the plants, but the root systems are still intact underneath the soil. It's the same way with hair. Luckily, laser devices have been designed that can target hair at the roots, also known as follicles. When those roots are damaged or destroyed, it discourages regrowth. It might take weeks for the follicles to repair themselves and start producing hair again, and some follicles may be permanently destroyed, preventing regrowth entirely. One thing to remember is that laser treatments often have to be repeated. In fact, they're usually done in a series of 3 to 5 treatments, which are spread out over several weeks. Once one set of treatments is over, you may not need another for a long time, but you probably will eventually, unless you just want to go back to shaving or waxing. So, you should consider those repeated costs before investing any time or money in laser hair removal treatments. If They Are So Good, Why Doesn't Everyone Have them? There are a couple of reasons why not everyone has laser hair removal treatments done. As just mentioned, money can be a factor. The costs of the repeated treatments can add up, and not everyone has the funds to keep up with that. That being said, the bigger reason that not everyone is a good candidate is that most average laser devices are designed to target hairs by looking for dark spots against light skin. Not everyone has light skin, and not everyone has dark hair either. If you are lucky enough to have both, you are the ideal candidate for the procedure. If not, you aren't totally out of luck, but you may have a harder time finding a clinic with a custom laser capable of treating someone with your hair and skin tones. Even if you aren't what is considered the ideal candidate, you still might want to look into laser treatment for your unwanted hair. After all, in the long run it can save you a lot of time and fuss. I've always had a sweet tooth but recently I'd found it really becoming a problem. I'd start the day off with something sugary and the end it the same way too, snacking on cakes, biscuits and sweets in the time inbetween. Since cutting out gluten and dairy from my diet a few years ago I've become much more interested in the ingredients of the foods I eat and the abundance of unnecessary sugar in everything from raw chicken to packaged fruit really made me think. Like milk, sugar is one of the things that wouldn't naturally be in our diet and I've got the fillings to prove it. I've managed to cut out a huge amount of sugar from my diet and I thought I'd share my tips for anyone wanting to do the same as I know how difficult it can be. Completely removing something from your life that has become part of a routine can be really hard (think of a bad breakup, the end of a series on Netflix or when Tesco stopped selling your favourite cheese) so cutting down is much easier than cutting out. Slowly reducing the amount of sugary foods you eat is a much easier way of doing things than trying to shun it completely and then thinking about it all day. It's easier said than done but if you stop buying things that are packed with sugar, then you won't have them in your house and you won't eat them because they're simply not there. If you run out of the cereal or biscuits that you usually buy, the next time you go shopping choose another food instead like Nakd bars which taste sweet but wont make holes in your teeth quite as fast. I can now go for days without sugar but when I do eat it I only do after 8pm. If you set a time of day in the late afternoon or evening after which you'll allow yourself something sweet, then getting through the day with healthier snacks will be much easier. You'll know that later you'll get a reward for your hard sugar-fighting work. As time goes on you won't even notice that "sugar o'clock" has come along and you can set your goals in days rather than hours. Replace the addiction Cravings for a sweet taste can be really easily curbed by snacking on things like fruit and especially dried fruit which can be very sweet naturally. Yes, fruit does contain natural sugars but it also has so many vitamins, minerals and nutrients, plus fresh fruit is full of water too which we could all do with a bit more of. I've always been a fruit lover but I now eat it by the bucket load which is far better than filling up on chocolate, Haribo and toffee slices throughout the day. Cook from scratch Cooking from scratch enables you to have pastries and baked foods in your house so you don't have to miss out on the things you like. I don't eat honey but Maple syrup has been a brilliant find for me in my quest to cut down on sugar consumption. 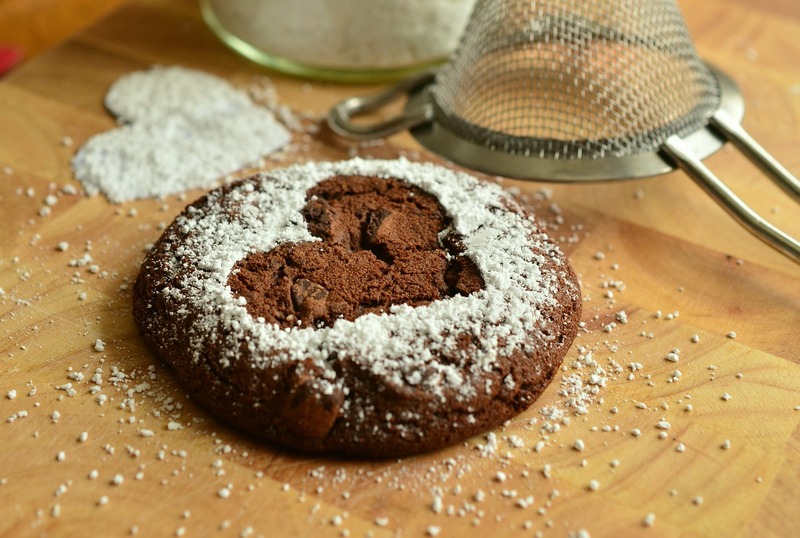 It's all natural and is about a third sweeter than white sugar so can be used in baking to give a sweet and yummy taste while also helping to keep things moist. I substitute it for white and brown sugar in almost everything by using the volume of the sugar needed and reducing it by a third. You might need to adjust the dry ingredients to make up for the extra liquid, but for things like flapjacks (which I love and could eat all day) it just serves to make them more moist. Muesli is also a great sugar free food to make as it can be eaten at any time of day with any type of milk. I throw dried fruits, chopped nuts and seeds into a bowl then add about twice as much oats and a really good glug of maple syrup. I then mix everything together and spread out on a silicone baking tray before baking quickly at about 180° until it's all toasted and lovely. Its brilliant straight out the oven but can be kept in a sealed container and enjoyed for days. Instead of eating sugar morning, noon and night, and I feel like I control the sugar instead of it controlling me. My body (and my teeth) are thanking me for it! The only times I particularly do choose something sugary over sugar-free is with things like fruit squash, as I'm not keen on the taste of artificial sweeteners and they're just another chemical I don't need. 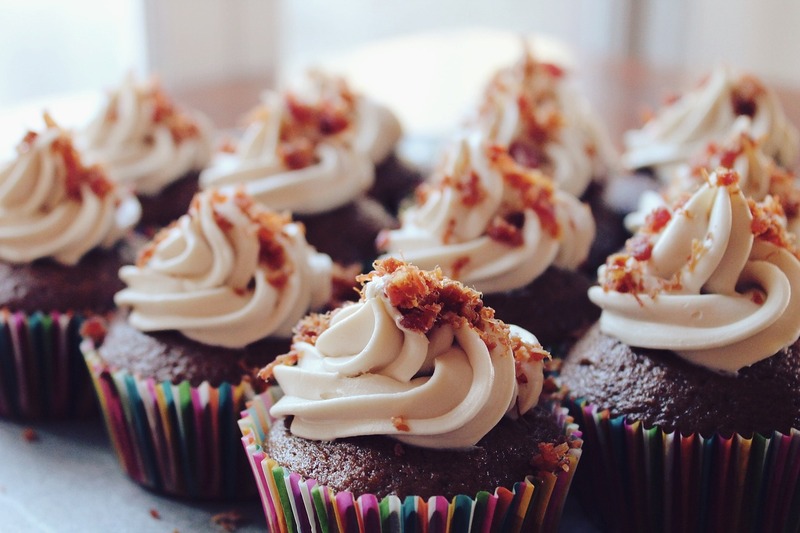 If you have any other sugar fighting tips I'd love to hear them!